Belfast City Airport is a regional airport serving a range of destinations, mostly in Great Britain and Ireland. 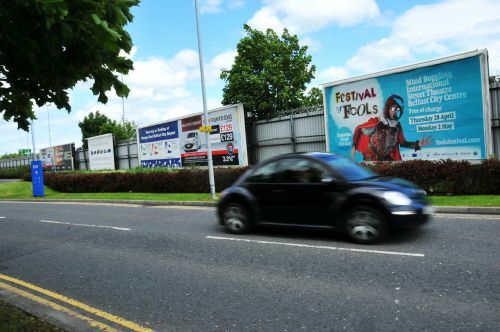 As one of the main arterial routes into Northern Ireland, the airport has grown significantly in recent years and is a key strategic gateway to the province, within a few minutes’ drive of Belfast city centre. Belfast City Airport first opened as a commercial airport in 1938 and was launched as the Harbour Airport for commercial traffic in 1983. Over the past 8 years, extensive redesign work has been carried out to encompass a new terminal and departures area. 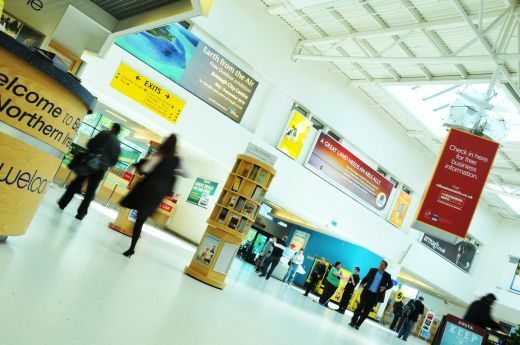 In a recent Milward Brown survey, almost ¾ of Northern Ireland respondents stated Belfast City Airport as their preferred airport, should price and destination be equal to the alternatives. We have included an interactive floor plan and specifications section on this website to help you identify the best opportunity for your advertising campaigns. Please contact us if you wish to discuss any media and advertising opportunities.